Professional matters will continue to surprise you this month, Leo. Additionally, with Mercury and Venus in Scorpio you might get a bit obsessive where your home and love life are involved. Since Scorpio is such an intense sign, realize that your research and investigative skills will sharpen considerably. You could find this month to be emotionally intense in more ways than one, Leo. With so much emotional intensity in your domestic environment, nerves could get frayed rather easily, feelings can be hurt, and words can be spoken that can't be retracted. It's not that the transit itself is negative, just that Scorpio takes everything personally and, like Leo, is a fixed sign, slow to change its mind and it's heart. The Full Moon on 10/11 should bring about a sense of relief since Aries is a compatible sign with Leo. Scorpio tends to feel heavier since it's a water element and (intuitive) sign. Leo, you are a fire sign and live through your passionate nature. It might seem this month that there is so much going on that you barely have time to reflect on your good fortune. With Pluto in your 6th House, going direct, you could become consumed with work and others areas of your life could suffer. Realize you can handle anything that comes your way. It's called balance, Leo, and while it seems easy, this month it could be more challenging than normal. Full Moon in Aries on 10/11 brings possible news regarding education, publishing, foreign sales and travel. Life could get chaotic on this day, however you have the wherewithal to move forward and meet all obligations and deadlines. You could find your overall mood improving on this date and you will feel much better about the direction of your overall life. New Moon in Scorpio on 10/26 brings about new domestic opportunities - perhaps a new home, the sale of an existing one or it could just be that new situations and conditions affect your home life throughout October. Pluto forms a powerful angle to this Moon, suggesting that power issues could surface but they will be dealt with easilly. 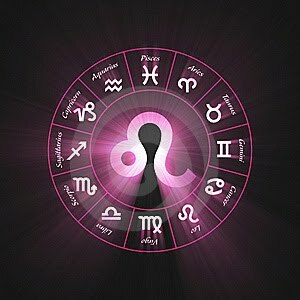 All pressing and immediate issues will be resolved quickly with the Sun in Libra. Mars (Drive/Aggression) remains in your sign all month giving you the ability to get through chaos, make amends with those you might have hurt and restore the sanity to your home and family life. Your love life will soar in November, Leo. Spend time this month resolving issues as soon as they emerge. Another Leo and an Aquarius will be involved.